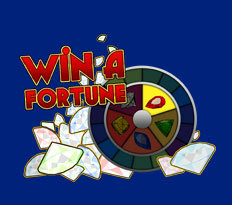 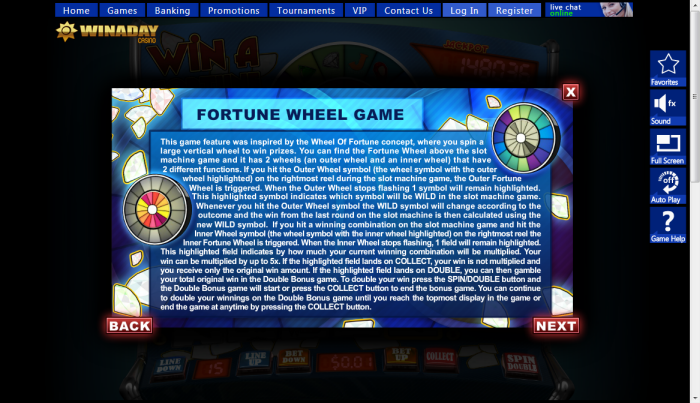 Overview: Win A Fortune is a 15-payline, 5-reel no download slot game that brings back memories of "Wheel of Fortune" - the popular game show. 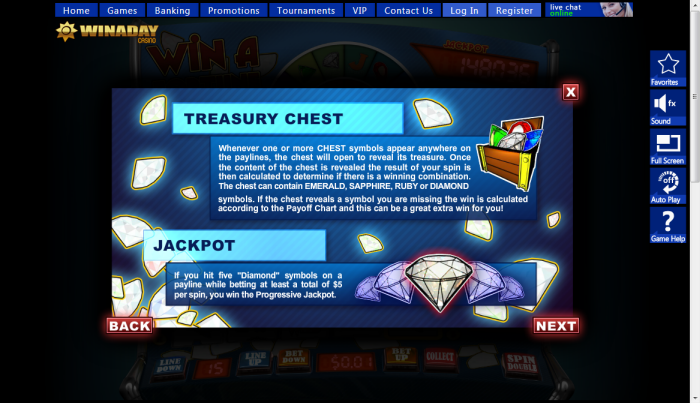 The game includes a treasure box, which can be unlocked for additional payoffs, nice multipliers to win, and two great bonus rounds. 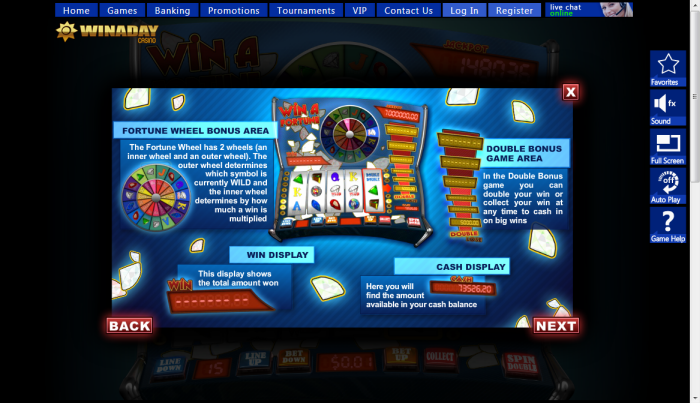 When playing this casino game, you will simply have to place a bet and begin playing, there is so much going on that you will just want to get started as soon as possible. 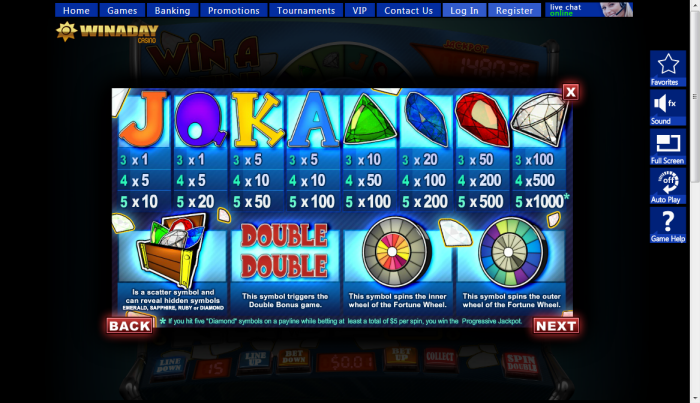 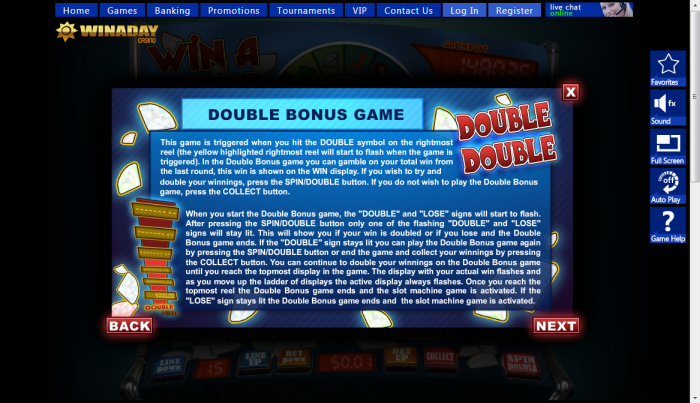 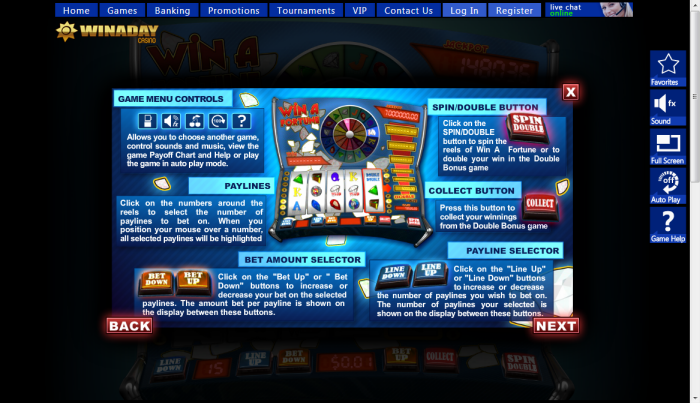 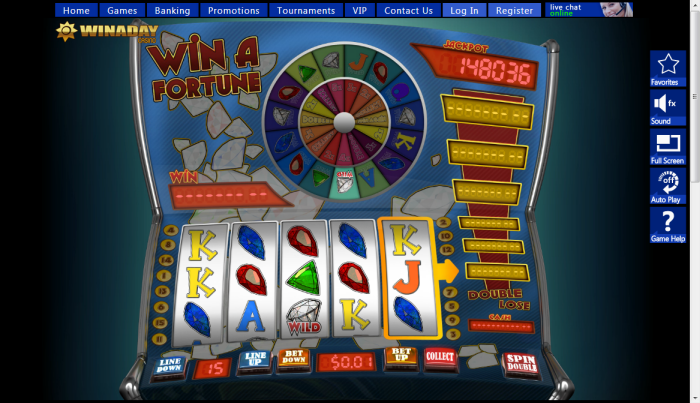 The Double Bonus round will be triggered if the 'Double' icon appears in the reel to the extreme right of the screen. 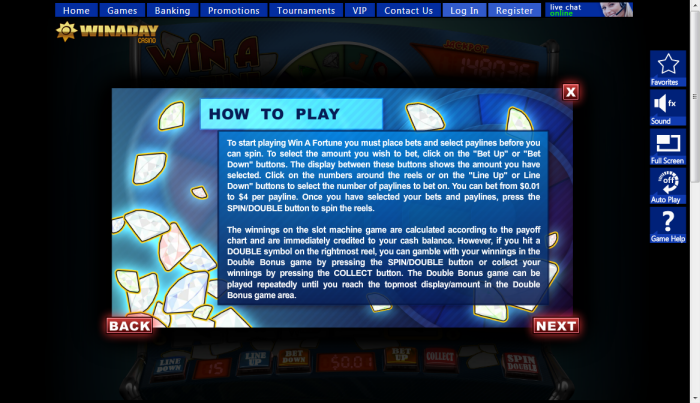 The 'Spin/Double' option allows you to choose whether you want to double your winnings, or simply walk away with your prize. 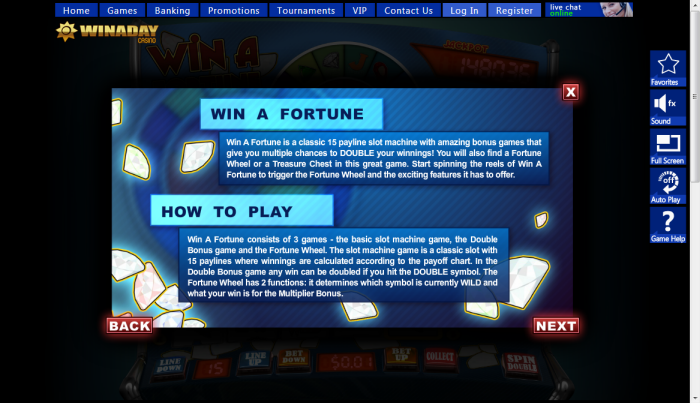 Similar Slots: If you like Win A Fortune, you might like these other slot machines from Win A Day Casino: Enchanted Gems, Gold Boom, Slot-O-Matic, Vikings, Wild Alaska, Wild West.